Guatemala (MNN) — There is no want for variety in American grocery stores. The produce is especially diverse. How is this large assortment possible year-round? Much of the food is grown in Guatemala. Americans often take this abundance for granted. The country of production does not have this opportunity, however. One of the best countries to grow food is also one of the hungriest. Guatemala is a poor country. Over half of the population lives in poverty, and 13% in extreme poverty. In indigenous areas, chronic malnutrition affects just under 70% of the population. Nearly 50% of children under the age of five are victims of chronic malnutrition. While many of these children are orphans living on the streets, a lot of the underfed children come from families that simply cannot provide for their needs. Orphan’s Heart is working hard to address this issue. Ron Gunter of Orphan’s Heart is excited about the work that has been done since they partnered with a malnutrition center in San Juan. “When we began five years ago, we began with 12 children, and recently we hit 106 children in care at the center, which allows us to touch the lives of many children and many families,” he says. As of now, the center is blessed with 24/7 nursing care. They also have other staff, and volunteers for Orphan’s Heart mission trips are present for much of the year. This year alone they had 41 groups, so that there were volunteers for 41 weeks out of the year. Like many ministries that help provide for the physical needs of families, Orphan’s Heart desires to provide these people with the Gospel as well. 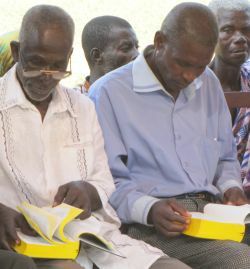 In this particular situation, sharing God’s Word looks a little different. The continued care of the children and their families after they leave the center speaks to the team’s Christ-like love. Gunter also points out that the volunteers’ motive to share God’s love becomes obvious to the people they are ministering to. Their care backs up their message. This effective ministry is something that you can easily participate in. Trying to figure out what to do this summer? Why not make an eternal impact? 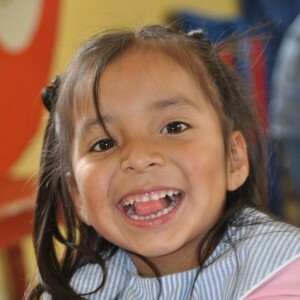 To be a part of a mission team to Guatemala, visit Orphan Heart’s Web site. Orphan’s Heart also provides opportunities for people to sponsor a child both during and after treatment. This helps keep the children from returning to a state of poor health. To learn more, click here. You can also donate items to help the cause. Click here to see a list.